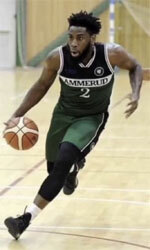 Al Kahraba Electricity (IBL) added to their roster 28-year old American point guard Cedric Ridle Jr. (188-75kg-90, college: Lincoln, MO). It is actually his comeback to Baghdad as he has played here before. 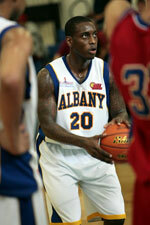 Ridle Jr. is not a newcomer in Iraqi League where he played last season at Al Shurtah (IBL). The previous (16-17) season Ridle played at Al Kahraba (Superleague). A very spectacular season in his career as he was selected Asia-Basket.com All-Iraqi League Co-Guard of the Year and voted to 1st Team. He won IBA Winter League championship title in 2014. Ridle has played also professionally in IBA (Kankakee S.) and PBL (Chicago T. and Danville R.). Ridle attended Lincoln University until 2013 and it will be his sixth season as a professional player. The scouts decsribe him following way: A long athletic slasher who is a great defender on the wing as well. Plays very hard and wants to win. In addition to his scoring prowess, Ridle was one of the best all-around players in the league, finishing ninth in steals (1.4), 10th in defensive rebounding (4.4) and 16th in overall rebounding (6.0). He also helped Lincoln finish with the second-best turnover margin in the conference (+2.2) despite playing the most minutes of any league player (959, 34.2 per game).